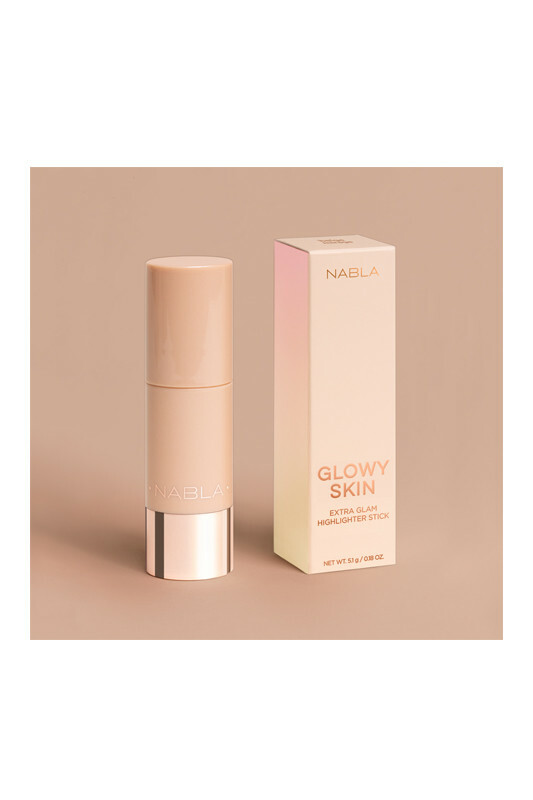 Nabla Vegan "Glowy Skin Highlighter" Enluminer Stick gives a glowy and three-dimensional effect to the skin, never seen before! Its creamy texture is easy to apply on the skin: the forehead, the brow arch, the cheekbones, the bridge of the nose, the Cupid's arch (the top of the upper lip). Non-drying formula, it contains safflower oil to soothe and protect the skin from dehydration. With super luminous and mirrored pearls, your complexion is durably illuminated. The Nabla Vegan Illuminators Sticks is a mistake-proof product and suitable for anyone who wants to shine of an extra glam! 5,1 g / 0.18 oz. The Nabla Vegan Illuminator Stick is perfect for a radiant complexion! Apply Nabla Glowy Skin directly to the face on the parts that naturally take on light: forehead, brow arch, cheekbones, nose bridge, Cupid's bow. Blend with fingers for a natural effect. For an accentuated effect: After applying your illuminator stick, apply the Nabla Compact Highlighter by using the Nabla Blush Brush. For a better hold: Apply a small amount of foundation on the areas where the light touch will be applied to better fix makeup. 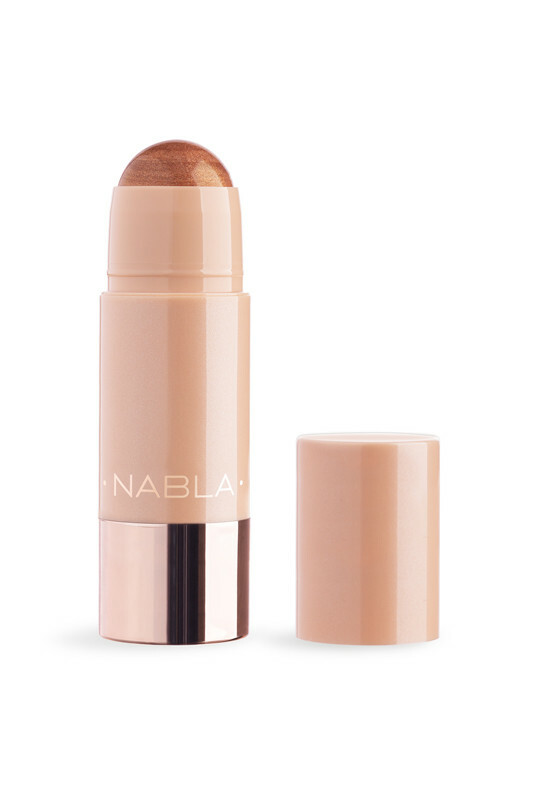 How to apply its Glowy Skin Vegan Nabla Illuminator? 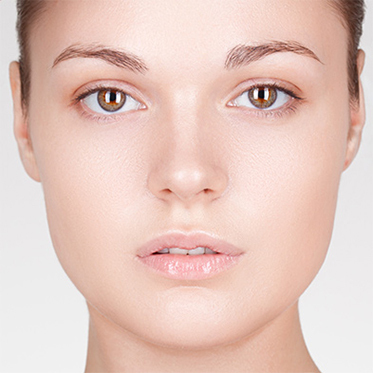 Ultra-pigmented pearls for a naturally glowy complexion!